Technology has done it again. In spirit with Tomb Sweeping holiday, Chinese smartphone owners are now able to scan QR codes on gravestones to access information about the deceased, including stories, pictures, videos, and guest books. While some are calling the idea innovative, others just find the concept unsettling. Instead of simply displaying the year of birth and death, as well as the person’s name and possibly a small phrase, QR codes can lead to websites with an ever growing wealth of information about the individual. They can also include stories about him or her, or copies of letters of documents that the person wrote. Some of these sites also include books of condolences, where others may leave their sympathies for the family. The technology is being utilized in graveyards across China, including in Shanghai, Shenyang and Fujian. 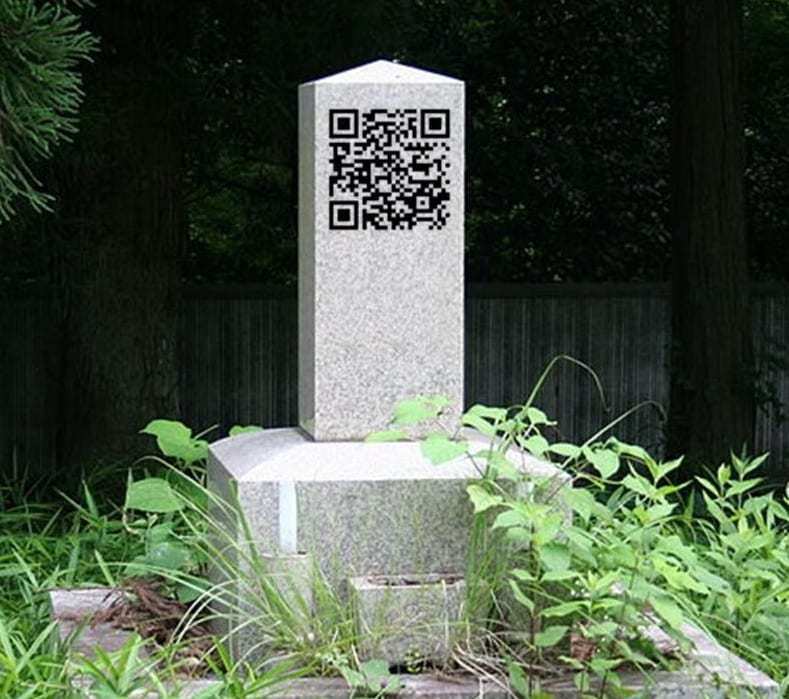 One worker at a Shenyang cemetery told the China Daily that over a dozen QR codes have been placed on the tombstones since the service was offered about a month ago. China’s online community has different thoughts on the use of the technology. “Oh my god! People cannot have peace even after their death,” wrote one online user. “It’s so scary and it doesn’t respect the dead,” said another.